We at Jake’s Moving and Storage offer a full range of professional moving services to those relocating to or from Washington D.C., Maryland, Virginia, and surrounding areas. Our team of professional movers are licensed, bonded, and insured. We know how to pack and unpack all of your household items in the safest possible way. Whether the task involves packing boxes, packing furniture, or any other form of packing, our experienced packers are experts at optimally arranging and adequately cushioning your valuables. After the drive to your new location, we are careful and conscientious during the unloading and unpacking process. 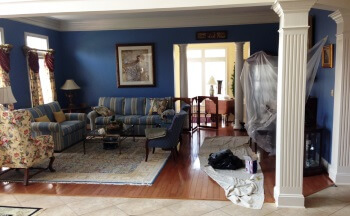 We treat each customer’s possessions with the utmost care from the beginning to the end of the moving process. What is our packing and unpacking service? We at Jake’s Moving and Storage are versatile. We can pack while you unpack; we can unpack while you pack. We can pack or unpack only some items while you do the rest. It’s all up to you. We adjust to the customer’s needs. When packing up your home, our experienced packers will use superior packing materials and supplies. We do not skimp on the cushioning, and we handle all fragile items with extreme caution. When we are packing boxes, we see to it that the contents are not overly crowded nor overly loose. We ensure things are well supported but not liable to shake and break. Not only do we offer exceptionally well done regular packing services, but we also offer special packing. We custom pack furniture, fragile items, odd-shaped or bulky objects, etc. 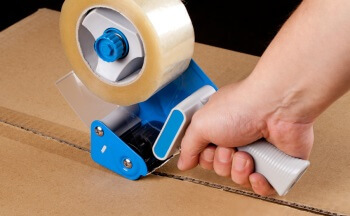 This helps to prevent scratching, denting, and other property damage. If you prefer to pack the items yourself, you can contact us for packing supplies such as moving boxes, packing boxes, shipping boxes, packing foam, bubble wrap, padding, etc. We’re committed to making your move as easy as possible. At your new location, we will help you unpack all your belongings and arrange them accordingly. If requested, we can also assemble furniture for you at your new location. We pack and unpack like pros during residential moves. We have much experience at packing up the contents of homes. We have it down to a science, and we move with step-by-step precision from start to finish. Your house can be cleared out and the moving truck packed full in the shortest possible time. We are just as skilled at unpacking, and we can place your items in the desired location in your new abode. 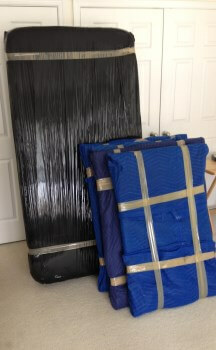 Our packing and unpacking services extend also to commercial moves. If you need help with office packing or with business packing, we are at your service. The special needs of commercial moves are not unfamiliar to us, and we can get the job done in an efficient, professional manner. Being situated in the Potomac, Maryland area, our local movers in MD have extensive experience moving within Washington D.C., Virginia, and Maryland. Our fast and friendly staff stands ready to demonstrate to you the genuine skills and professionalism that we possess. We can also facilitate your long distance moves from MD, VA, and DC. Taking your possessions across the country is no problem for Jake’s Moving and Storage. We do plenty of packing and unpacking jobs that entail long distance, interstate transport. You can count on us to get you set up at your new location in a speedy and safe manner. We can also provide temporary storage in case there is a gap between your moving out and moving in dates. We can confidently say that we have acquired the highest quality of packing, unpacking, moving, and customer service skills through our many years of service. We are flexible to the customer’s needs and offer a wide range of services. We also have a policy of up front pricing with no hidden costs. Our prices are competitive, and if you contact us today, we can give you a free estimate. Jake’s Moving and Storage MD VA DC – Let Us Do The Packing and Unpacking For You! Packing and Unpacking Service https://jakesmoving.com/packing-and-unpacking/ 4.2/5 based upon 15 reviews.